Around 10 millions taxpayers file their tax returns late or not at all every year, according to data gathered by Turbotax (Intuit). And, every year the IRS holds more than 1 billion in refunds that are waiting to be claimed. That is big. 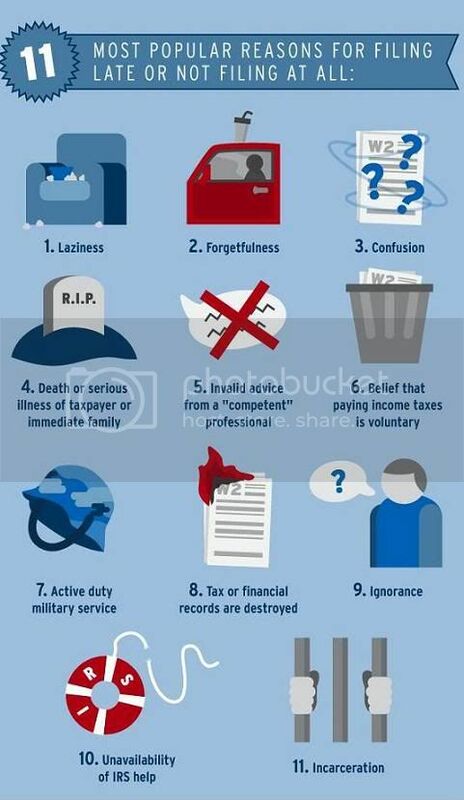 Turbotax made a nice infographic titled “Falling Behind: How Back Taxes Save Taxpayers”. Do not wait for IRS’s penalties. File your back tax return now!